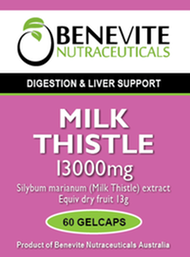 Benevite Nutraceuticals™ Milk Thistle is a hepatoprotective herb which supports the detoxification of the liver and normal liver function. Milk thistle acts as a liver tonic and therefore helps to maintain healthy liver and gall bladder function. This formulation aids healthy digestive function. The antioxidant activity of Milk thistle assists in protecting the body against the effects of free radicals, and protects the liver from the effects of toxins and pollution. Milk Thistle helps in the maintenance of general well-being. Liver tonic - helps maintain healthy digestive function. Milk ThistleMaintains normal/healthy liver/gall bladder function. Contains Milk thistle, which is a hepatoprotective herb, which supports the detoxification of the liver and normal liver function. A liver tonic, specifically formulated to support the liver and help maintain healthy liver and gall bladder function. Milk thistle is an antioxidant herb and therefore assists in decreasing the risk of cell damage attributed to free radicals. The antioxidant activity of Milk thistle assists in protecting the body against the deleterious effects of free radicals. Milk thistle protects the liver from the deleterious effects of toxins and pollution. 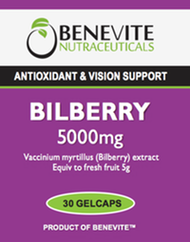 Has antioxidant activity and can therefore assist in protecting the body from potential free radical damage.